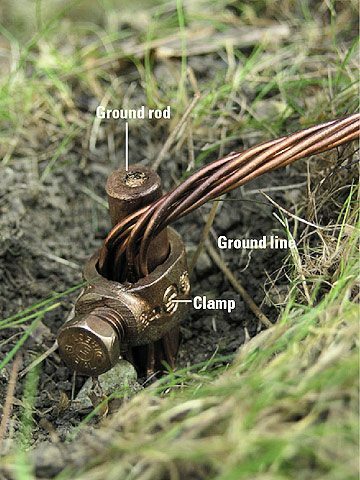 Home / Technical Articles / What makes a good grounding system? Typically made from copper or copper-bonded steel, the grounding electrode conductor must be large enough to withstand the maximum available fault current over the maximum clearing time. Often overlooked, the grounding connections are used to tie the elements of the electrode system together. Exothermically welded connections provide a molecular bond that will never loosen or corrode. Mechanical connectors, such as crimp, bolted, and wedge type, rely on physical point- to-point surface contact to maintain the integrity of the electrical connection. IEEE® Standard 837 (Standard for qualifying permanent substation grounding connections) provides detailed information on the application and testing of permanent grounding connections. ‘Natural’ electrodes are intrinsic to the facility and include metal underground water pipe, the metal frame of the building (if effectively grounded), and reinforcing bar in concrete foundations. ‘Made’ electrodes are installed specifically to improve the performance of the ground system and include wire meshes, metallic plates, buried copper conductor and rods or pipes driven into the ground. The ground rod is the most widely used electrode. Amount of rod surface and rod replacement are the controlling factors. Doubling diameter reduces resistance by only 10% and is not cost effective. TIP // Doubling rod length, however, theoretically reduces resistance by 40%. The most common solution is proper placement of multiple rods that are driven to the required depths. 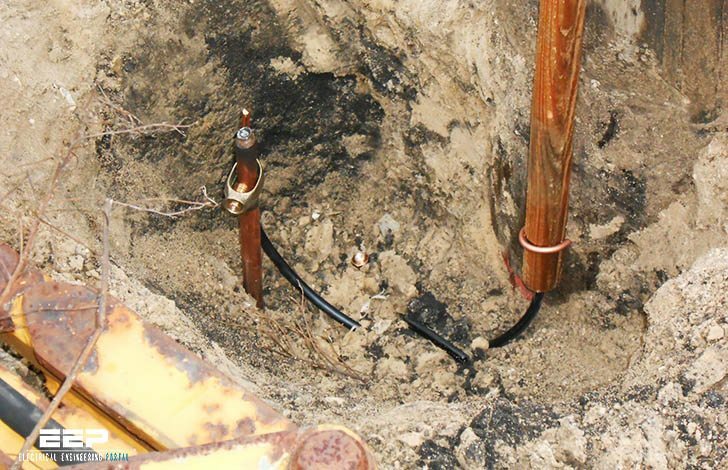 The soil resistivity, measured in ohm-centimeters or ohm-meters, plays a significant role in determining the overall performance of the grounding system and must be known before a proper grounding system can be engineered. Measuring soil resistivity allows the design engineer to locate an area with the most conductive soil and to determine the depth of the conductive soil so that electrodes can be placed accordingly. The ground electrode is a critical component of the grounding system. Many different types of electrodes are available, some “natural” and some “made”. The natural types include metal underground water pipe, the metal frame of a building (if effectively grounded), a copper wire or reinforcing bar in a concrete foundation or underground structures or systems. Consideration should be given to bonding of natural earths to ensure electrical continuity with a facility’s other “earths”. “Made” electrodes are specifically installed to improve the system grounding or earthing. These earth electrodes must ideally penetrate into the moisture level below the ground level to reduce resistance. They must also consist of metal conductors (or a combination of metal conductor types), which do not corrode excessively for the period of time they are expected to serve. 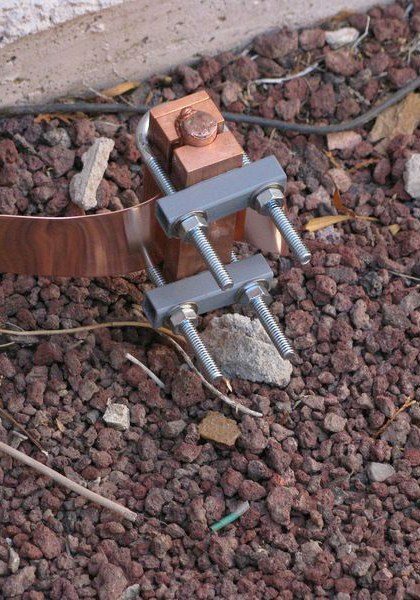 Made electrodes include rods or pipes driven into the earth, metallic plates buried in the earth or a copper wire ring encircling the structure. Underground gas piping or aluminum electrodes are NOT permitted for use as ground electrodes. Grounding systems are VERY important. It is not expensive to build an appropriate ground system during initial construction of a facility, but it can be very expensive to add to it, enhance it, or replace it after the facility is complete. Care should be taken to design a system that is appropriate both for clearing ground faults and dissipating lightning energy. Thank you very much for your explains. Above information is very useful can you send size of conductor & depth of earthing for different current rating. This is ver helpful. Please publish Full technical articles about Grounding and also Bonding. Thank you.